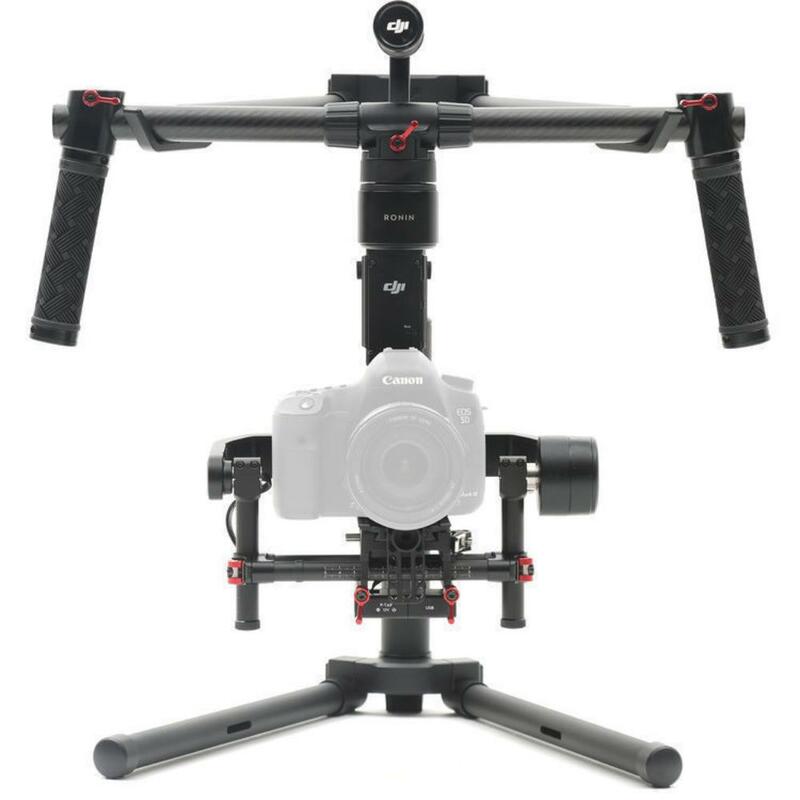 The DJI Ronin-M Handheld Gimbal Stabilizer is an ultra portable system for cameras up to 8 lbs that uses brushless motors that work on 3 axes: roll, tilt, and pan. Computer-controlled, the Ronin-M enables precise camera moves and stability correction. The Auto Tune Stability will configure your camera and lens setup to the Ronin-M with the help of the included gimbal tuning stand. 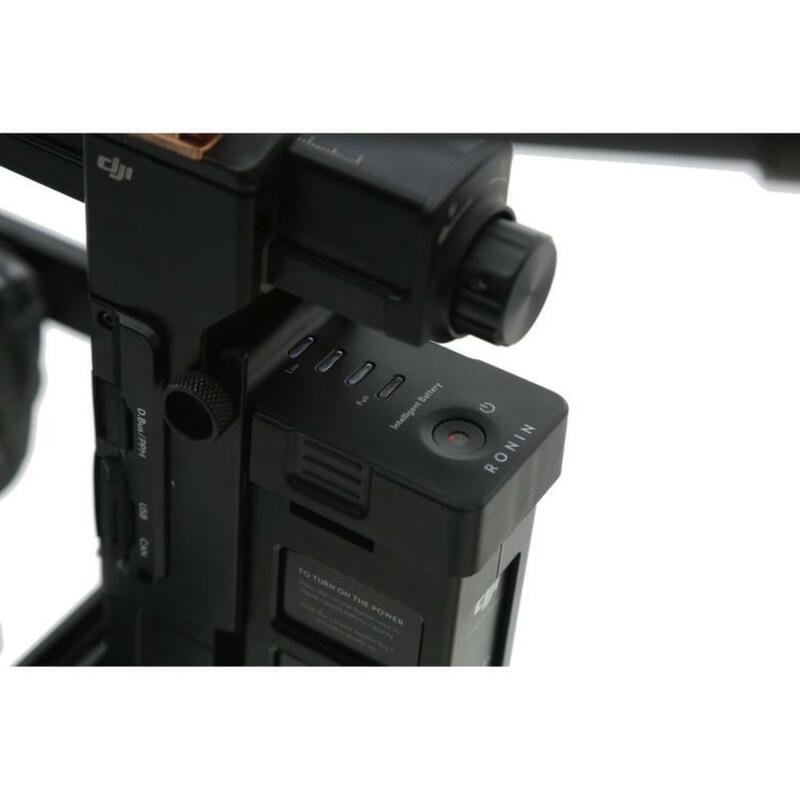 The included battery will last up to 6 hours and the DJI Ronin Assistant Software gives you access to all system configurations right from your phone (please use your own app credentials when logging into the app but use our credentials when connecting to the Ronin – details are in the Notes tab). 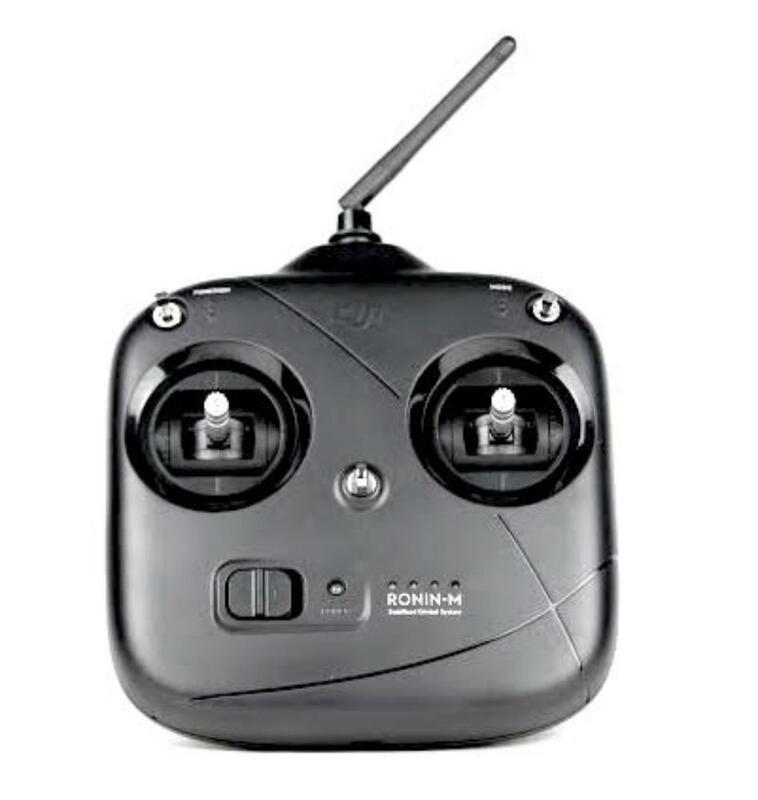 The included Ronin transmitter gives you second operator control so that one person on set can hold the gimbal while another manually controls camera movement. For solo shooting, a Thumb Controller is rentable separately. The Ronin-M is compact, lightweight, and gives you maximum freedom on set. • The DJI Ronin Assistant app is compatible with iOS 7.0 and above and Android 4.3 and above with Bluetooth 4.0 support. Please use your own mobile app credentials when logging into the app. Please do not change the password. Any password changes will result in a $30 processing fee.